She had already proven herself a formidable songwriting talent during the previous decade or so with such major hits as “Will You Love Me Tomorrow,” “The Loco-Motion,” “Up on the Roof,” “(You Make Me Feel Like) A Natural Woman,” “Pleasant Valley Sunday” and other pop hits. 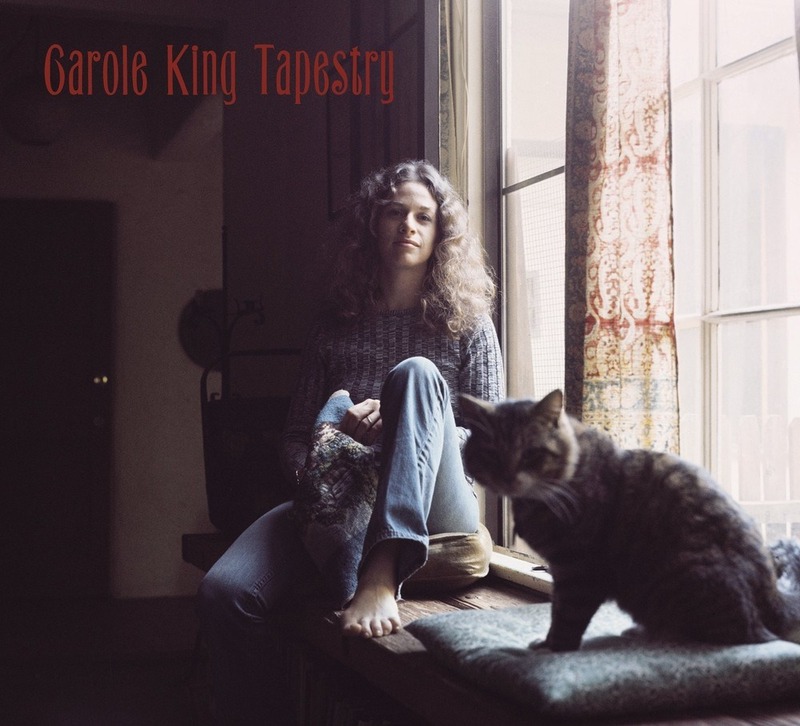 Her second solo album, Tapestry, made Carole King a star and set records and trends. Powered by the double-sided #1 hit single “It’s Too Late”/”I Feel the Earth Move,” Tapestry hit #1 on the Billboard 200 on June 17, 1971 and remained there for 15 consecutive weeks – a record the album held for most weeks at number one by a female solo artist for over 20 years until Whitney Houston’s The Bodyguard: Original Soundtrack Album spent 20 weeks at number one in 1993. It remained on the album charts for over six years, also setting a record for longest run on the charts until 1980, when Pink Floyd’s Dark Side of the Moon broke that with its 303rd week. It has sold over 25 million copies and was the best selling album ever until 1976. At the 1972 Grammy Awards Tapestry won Album of the Year and Best Female Pop Vocal Performance. King also earned Record of the Year for “It’s Too Late” and Song of the Year for “You’ve Got a Friend.” She was the first solo female artist to win the Grammy for Record of the Year, and the first woman to win for Song of the Year. Tapestry helped launch the singer-songwriter movement of the early 1970s along with albums like Sweet Baby James by her friend and tour mate at the time James Taylor, who also recorded her song “You’ve Got a Friend” on that disc. It obviously captured the tenor of the times. Although nothing King later released came even close to the success of Tapestry, it remains a key factor in such honors as her induction into the Rock and Roll Hall of Fame and the Songwriters Hall of Fame, the Library of Congress Gershwin Prize for Popular Song (first woman to win it) and the 2015 Kennedy Center Honors. King, born February 9, 1942, was 29 years-old when Tapestry was released. Everybody in the early 70’s owned that album. Very sad that Carole is not in the R+R Hall of Fame as a performer. She deserves to be, only in as a songwriter together with Gerry Goffin. She has been a touring musician for 45 years. The dump in Cleveland never gets it right.